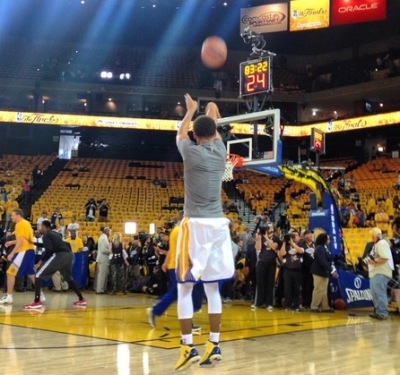 The first stage of our shooting breakdown is the Finger or Follow-Through. Coach Paul Hoover discovered this technique while watching Kobe Bryant warm-up before a Lakers game. 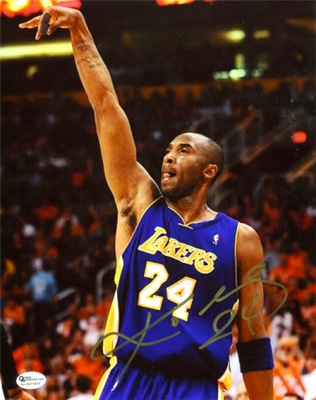 For those who watch Kobe shoot, you'll notice that he dominates the ball with his index finger or sometimes with both his index and middle finger at the same time. The idea of the "Finger" is to keep your shot straight and limit your misses to both sides of the rim. The index finger is one of the straightest fingers in the hand or it could be the middle finger for some. To see which one is straighter, hold your dominant shooting had straight out in front of you and glance pass your fingers. Whether it is your index or middle finger, you may notice that your ring and pinky finger will always be pointing off to the either the right or left side. What this is showing is that coaches will tell their players to cookie jar. The problem with the cookie jar is that sometimes the ball may come off your ring or pinky finger which will result in your shot going to the sides. When dominating with one of your two straightest fingers, you will always keep your shot on target and increasing your odds of making the shot. A great shooter will shoot straight 9 if not 10 out of 10 times. 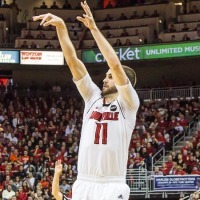 A bad shooter will constantly miss to the sides. Check out the picture below of few NBA Champions, and basketball players that dominate their shot with the index finger. Also watch our video using the Finger technique. The Off Hand or Guide Hand is one of the biggest issues we come across when critiquing players shot. 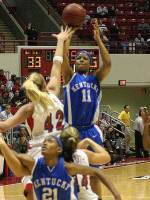 Players at all levels tend to drop or pull away their off hand which makes their shot become off balance. One reason why you see players do this, especially with the younger athletes, is that they see their favorite NBA player doing so but do not understand that they are professionals and have put in a ton of work. So the idea for Pro Shot is to keep the shot together which will create a identical shot every single time. Also, it helps keep your shot more on balance and less tense. With the off hand alone, we have greatly help athletes all over the United States just by showing them to keep their shot together. Watch our video below about "The Glue of Shooting". The "Hop" or the "Dip" is a technique that causes coaches to turn their heads. Why? Because they have been told to never "Dip" or "Drop" the ball from where you catch the ball to begin your shot. 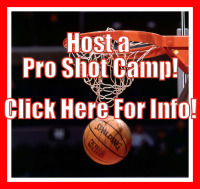 But every great shooter you have witness from the past or the present, dips or drops the ball to at least waist level. Great shooters do this to get into a rhythm for their shot and it gives them a lot more power. Another question we get a lot is, "Is the dip slower? ", of course its not. If anything, it will help players get their shot off quicker. Ray Allen is one of the greatest shooters of all time and he dips the ball down to his thigh! His shot is one of the quickest out there, so if the dip is slower, why would Ray Allen dip the ball? The dip is so quick you can hardly see it happening unless you were looking for it. 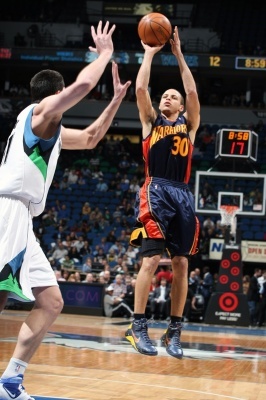 The other aspect of the rhythm part of shooting is the "Hop". For years coaches have been teaching their players to get in their shot by doing the 1-2 step. The 1-2 step is still good to do in certain situations but if your player is coming off a screen or off a pass, the hop should be used. With the hop it helps get in rhythm, develop a quicker shot and the biggest thing is that you have not established a pivot foot. When teaching the hop, we tell our players, "Ball in the air, Feet in the air." Combining the "Dip" and the "Hop" will help develop you a quicker and a more fluent shot. 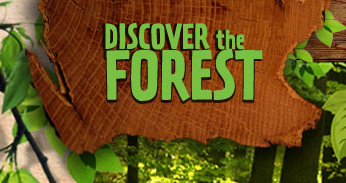 Check out the videos below to learn about the "Dip" and the "Hop". Watch the video below of Pro Shot Founder Coach Paul Hoover explain our one-eye technique. This is a must for all female players who are trying to become great shooters. Females tend to carry more tense in their neck and shoulders and becoming a one-eyed shooter will greatly help them become better shooters and separate them from other female players across the world. 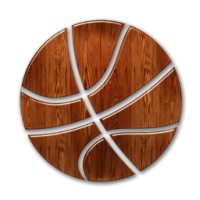 Below we have Pro Shot Director Matt Willamson go in detail about the Sweep and Sway and how it can benefit all players and we have Coach Nick from Basketball Breakdown interviewing some of the NBA's best shooters asking them about their sweep and sway. The turn is another technique we teach that also draws some controversy amongst coaches. 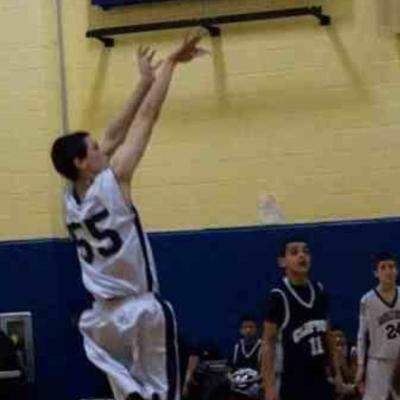 Again, coaches have also trained their players to square feet and shoulders to the basket or 10 toes towards the rim. The thing with that is it causes your shot to miss more to your dominant shooting side because your shooting alignment will always be on the side of rim. Try it for it yourself. Get to a basket or even imagine one, square your feet and shoulder just how coaches tell players to do so and act like your about to take a shot. Now where is the ball at? On the side of the rim. So how we teach the turn is, if you're right handed, turn your feet to the left at 11 o'clock and if you're left handed turn to the right at 1 o'clock. Take your shot and you'll notice that the ball is aimed right down the middle of the basket. Why is that? Because now you have aligned your shooting hip and shoulder right down the middle of the rim which will result in your shot being straight and on target from anywhere on the court. Another thing the turn helps out with is the tension in your neck and shoulders (HUGE for female players) and helps you be in a relax state. A lot of the best shooters in college and NBA turn their feet. You can clearly see in the picture below that the NBA MVP Steph Curry has his turned to left and see he has his hip and shoulder aligned right down the middle of the basket. 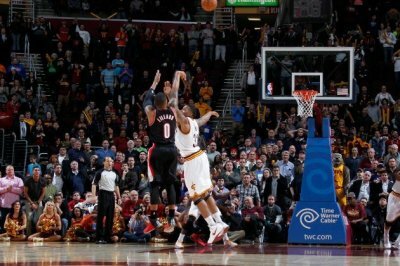 The other picture you can see Damian Lillard's feet turned all the way to 10 and even 9 o'clock. Watch the video of Basketball Breakdown's Coach Nick talk to Hall of Famer Chris Mullin and current NBA players about the turn.